When Terry Kane - a sound engineer who was barely twenty years old at the time - built an 8-track recording studio above Henry Stone's office space in the Hialeah area of Miami, he probably never envisaged that he was laying the bedrock for a creative hub that would spawn over 25 gold records and over 100 million record sales worldwide. 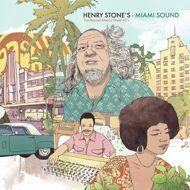 In the process, it would help to make Henry Stone a legend of American music. At one end of the spectrum, warehouse boy turned global superstar Harry Wayne Casey - better known as leader of K.C. & The Sunshine Band - was pumping out disco classics on a massive scale with ubiquitous airplay and sell-out shows. At the other, Rodney Matthew and his group Formula 1, were relying on the might of the T.K. distribution machine to propel them into the spotlight. As remarkable as their 1977 masterpiece on Du-Vern records was, it inevitably failed to have the seismic impact of The Sunshine Band's commercial dance pop. For every success story like T-Connection, with their firebrand funk-disco fusion and major label achievements, there were equally talented acts such as Stevens And Foster who also called on Stone's services to showcase their vision: judging by the scarcity of original copies of their self-written and produced modern soul jewel on Jerri Records, they also failed to reach beyond the Sunshine state, save for the rarified ears of collectors and connoisseurs. The sheer amount of records that came out of those modest premises at 495 SE 10th Court - about 8km from Downtown Miami (as the pink flamingo flies) - is mind boggling. With a huge roster of in-house labels as well as production and distribution deals, label boss Henry Stone was a passionate, busy, and exceptionally well connected man. Stone would nurture the early careers of the likes of million seller Betty Wright, as well as provide a platform for Milton Wright and Leno Phillips (her older brothers) to express their creativity. Clarence Reid (AKA Blowfly) and Willie Clark penned a raft of amazing tracks for acts such as Jimmy 'Bo' Horne and Little Beaver (AKA Willie Hale, who would also write a wealth of material for others), while T.K. in-house band Miami's own Robert Moore also released records on yet another T.K. imprint, Blue Candle. The music scene in Miami and indeed, Florida, at the time was fertile and moved quickly with the times, there were hit-makers and risk-takers, shining stars and those who never went far.